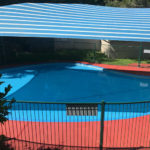 The 25-metre pool is solar heated to extend the swimming season by a few weeks at the start of spring into the beginning of autumn. Member families and their guests utilize this pool either for lap-swimming or just to cool off and relax. The 18-metre pool is the original “Greenlanes” pool and it can be utilized year-round. Two gas heaters along with thermal overnight blankets ensure a minimum temperature of 27 degrees centigrade during the winter months. 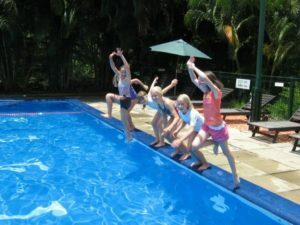 The children’s wade pool is solar heated to ensure toddlers are comfortable whilst splashing around during the spring and summer months. All 3 pools are chlorine sanitised and monitored in accordance to strict operational guidelines. This is in order to ensure maximum swimmer comfort. Pool hours for Members and their guests are from 6am to 10pm daily. Taylor Range Country Club Members are able to book up to one week in advance either for a ½ hour or 1 hour slot. Non-Members may book a court the day prior to when they wish to play. There are also plenty of different avenues to play squash at Taylor Range apart from having a hit with your friend? Every Thursday morning from 9.30am – 11.30am three squash courts are reserved for social squash. This is again free for Club Members and costs just $6.00 for non-Members to attend. Thursday morning players often bring a platter of nibbles each and relax on the function hall balcony on completion of their hit-out (this is social squash at its best). Every Wednesday evening 2 of the squash courts are reserved for social squash, between 6pm & 8pm. Anybody can come along and play amongst each other. This is free for Taylor Range Country Club Members and costs $6.00 per session for non-Members. At 8pm on Wednesday nights social squash continues. All players are welcome and costs are as per the earlier session. For players that prefer a hit at the weekend we also have social squash on a Saturday afternoon 2.00pm – 4.00pm. This session has become very popular and all four squash courts are frequently required for the 2 hour duration. 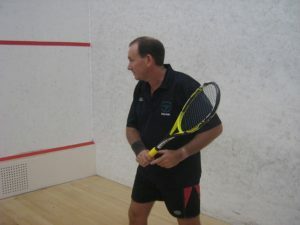 Taylor Range Squash Club fixtures are run Monday, Tuesday & Thursday evenings and Friday mornings. Fixtures offer you the opportunity of playing in a graded competition against other clubs from the northside of Brisbane. 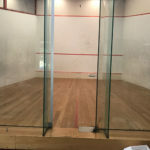 These fixtures are governed by Q-Squash Ltd. Four player teams are entered at the start of each season and each fixture costs $13 per player ($10 for Taylor Range Country Club Members when playing at home). Squash Australia is currently running OzSquash for children between 5 and 15 years of age at the Taylor Range Squash Academy. These programmes take place on Saturday mornings from 10.00am – 10.45am (5-8 years) and 10.45am – 11.30am (9-15 years). Cost is just $5 per child. For more information and to register go to participation@squash.org.au Progression from the Academy has now seen a Taylor Range Junior team competing in the Brisbane City Squash Junior Competition which also takes place on Saturday mornings. They are available for bookings from 7am – 10pm daily with either ½ hour or 1 hour booking slots available. You can also book a 2 hour slot from 8pm-10pm. 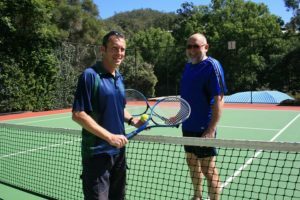 Tennis Racquets and balls can be borrowed by Club Members or hired by non-Members during office hours. 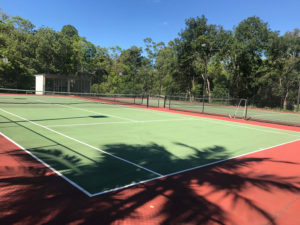 Club Members may book a tennis court up to one week in advance. Non-Members are able to reserve a court the day before they intend to play. The Club has progressively installed top of the range outdoor gas BBQ units. These have replaced the wood-burning alternative in order to make things as quick and easy for Members and their guests to either cook-up a few snags for a quick lunch, or provide a quality cooking plate for a large group booking. 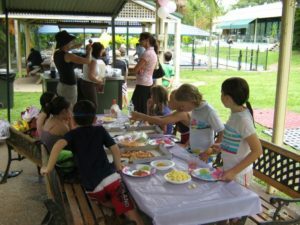 Usually bookings of up to 4 hours duration can be made as far in advance as you like, providing an ideal location for children’s birthday parties, or family get togethers. The Club has 4 main gas BBQ areas which are under cover and work on a pre-booked basis. 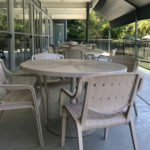 Alternatively there are also a dozen wood burning BBQ’s that are available for ad hoc use outside of any fire restrictions during bush fire season. As an extra service to Members and their guests the Club offers a variety of snack items from the on-site kiosk. Food ranges from hot pies and sausage rolls to cake of the day. 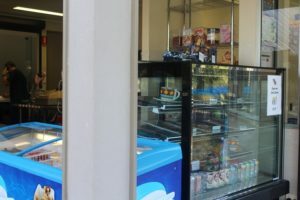 Also available are drinks (hot and cold), ice creams, and a selection of lollies as well as chips. It is anticipated that in the not too distant future, the kiosk facility will be expanded to cater for light lunches etc. 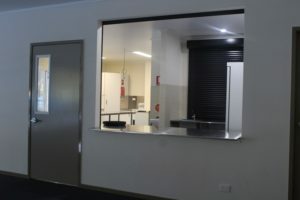 Taylor Range has a function hall which is available for bookings by Members and non-club members alike. Functions of up to 100 people are permitted. The Function Hall has become a popular venue for birthdays (no 18th birthday bookings permitted), anniversaries and wedding receptions. 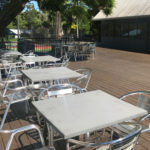 The Function Hall bookings are separate from the rest of the club facilities and people attending do not have access to the swimming pools or tennis/squash courts. Functions are BYO as there is not a licensed bar, therefore anyone wishing to sell alcohol at their function must provide their own licence. Catering can be done by outside caterers or the hirer and there is a large kitchen adjoining the hall. 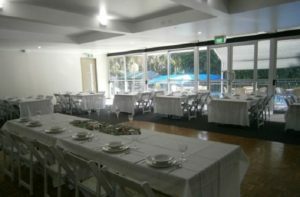 Function hall bookings can be flexible, for example a booking of two hours during an afternoon is also possible. These rates are calculated on an individual basis.